I am super-excited about this! As you may or may not know, I was an oboe player in my previous life. One of my biggest issues was reeds. I wasn’t very good at making them, and moreover I hating doing it. (It was kind of a chicken-and-egg sort of situation, I guess.) Plastic reeds used to be total crap back in the 90s—I remember trying a couple out when I first started playing. I think they were supposed to be better for beginners, since we wouldn’t accidentally chip them on our teeth or whatever. Sounded like hell, though. I did some looking around when I was starting to play again. 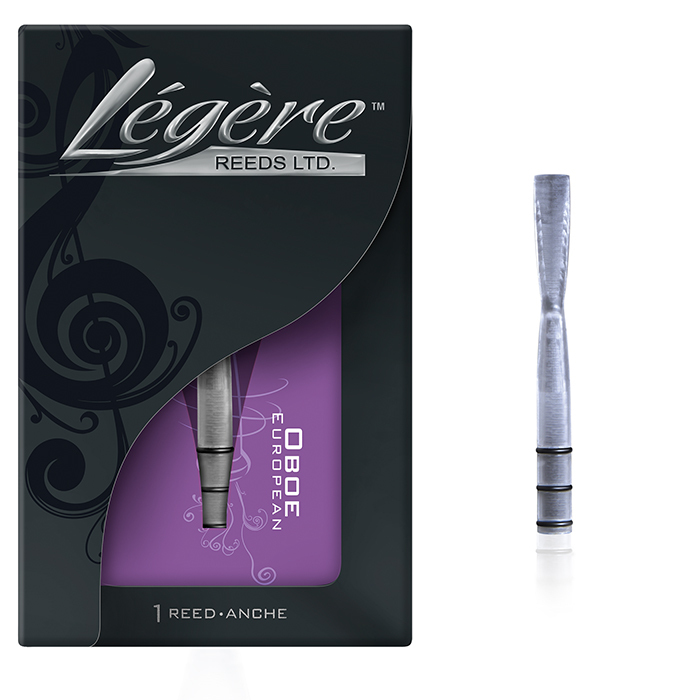 I saw that Légère Reeds had developed a bassoon reed, and they were in the development phase for oboe reeds! Their bassoon reeds say they can last 12–14 months! Yeah, they’re probably going to be wicked pricey (looking at their bassoon reed prices, the oboe ones will probably go higher). But if they do last a year, I think it’s worth it. Think about all the hardware you have to buy: cane, splitters, gougers, shapers, staples, thread, knives, stones. Even if you buy already shaped cane, you’re still looking at a lot of money, considering how long reeds last and how much your time making them is worth. The big question for me is whether the scrape fits with how I’ve learned. They say they’re a European Scrape. If I look at my pedagogic ancestry, I’m (unsurprisingly) from a San Francisco line—my teachers were Tom Nugent and Bill Banovetz (note: that is a sad link), who were in turn students of Marc Lifschey, who studied with the legendary Marcel Tabuteau, the father of American oboe playing. Tabuteau’s students—and there were many—all developed different scrapes. For instance, I know the John Mack school is pretty different than what I learned. Perhaps if the European Scrape is wildly successful, they might branch out into an American Scrape? East Coast / Midwest / West Coast Scrapes? The possibilities are endful! Will the Légère reed work for me? I don’t know, but I’m excited to find out! They hope to be selling them by the end of the year!